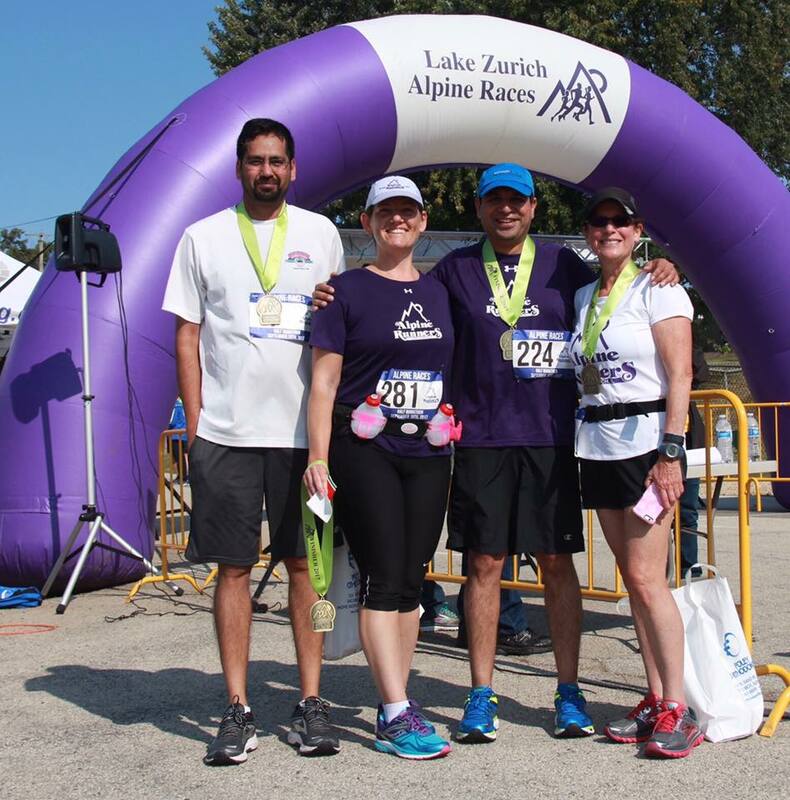 Join the Alpine Runners Today! We welcome all runners and encourage you to give us a try, no matter what your experience is. We have runners working up to 4 miles, runners training for their first 5k, 10k, half marathon or full marathon, as well as seasoned marathon and ultramarathon runners of all sizes and speeds. Registration is now open for the 2019 Alpine Races! Click the button below for more information and to Register! Check out our new Member Discount page with great discounts on local races. Registration is now open for the 2019 FREE ALPINE RUNNERS KIDS RUNNING CAMP! Members, join our Alpine Runners Group Facebook Page take part in discussions and to get the most up-to-date info on group runs and events. Spring Destination Trail Runs will begin again on May 5th! Take a moment to checkout today's featured sponsor by clicking the image below! Alpine Runners thanks each of our sponsors. See all our different sponsors on the Our Sponsors page. Wednesday, May 1st Alpine Runners Spring 5K Training Program Clinic at Road Runner Sports. Tuesday, May 7th - Beginning 5K program training runs begin at 7pm at Paulus Park. Why pay up to $200.00 for other training programs when the ones we host are free to club members? 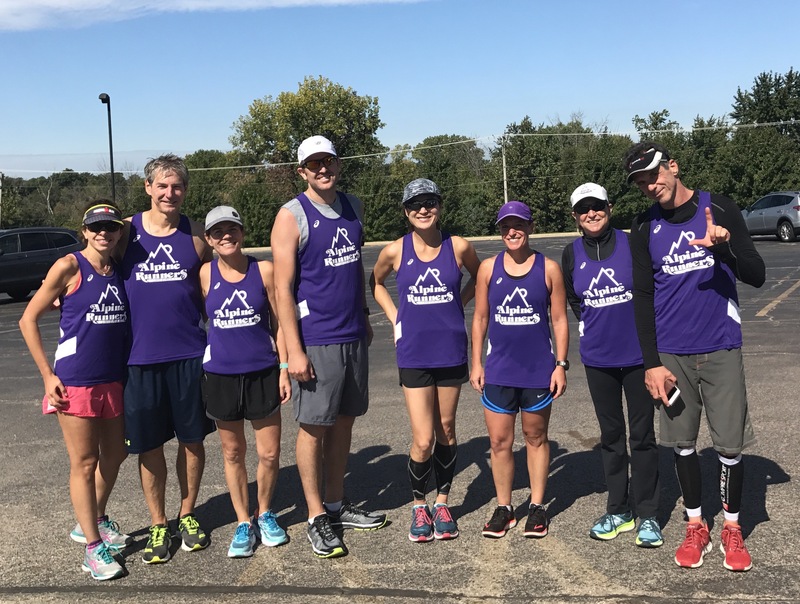 Alpine Runners will be hosting our own Bank of America Chicago Marathon Training Program starting June 15, 2019 on Saturdays in Lake Zurich and June 16, 2019 on Sundays in Busse Woods. Informational clinic to get you started. Saturday and Sunday long runs with official pace group leaders. Aid stations every 2-3 miles stocked with water and Gatorade. Evening group training runs throughout the year. Our ever popular Alpine technical shirts can be purchased separately. Alpine Runners is also offering beginning 5K training programs for the summer and fall, a fall half marathon training program, and the very popular free Kids Running Camp. Our currently available training programs are listed below. PLEASE NOTE: Race registrations are not included. Website member login is required for training program registration. Not a member yet, no worries, there is a Join Alpine Runners button on the registration sites. The Alpine Runners will be hosting a free kids running camp for ages 6 through 14 on Monday nights from 6:00 pm to 6:40 pm. Where: Running camp will be held in Paulus Park, 200 S. Rand Road, Lake Zurich. We continue the running camp through August so the kids will be ready to participate in the Lake Zurich Alpine Kids Races held September 15th *. For insurance, we do need all kids to be registered at www.alpinerunners.com. Parents are also required to stay within Paulus Park. If a child needs any medications, please have it available and prepared. We do need parent volunteers! Please email your information and give us your group preference of ages 6-8, 9-11 or 12-14 to Mary Hunt at meahunt3@aol.com. Running camp is a great way for kids to be active, have fun and learn a sport which will help them establish goals and gain confidence as well as help with any other sports they pursue. Kids will engage in games, drills and timed runs appropriate to their ages. *Alpine Races not included in registration. Register for the Alpine Races at www.alpineraces.org. We meet every Saturday morning at the Lake Zurich High School parking lot, 300 Church St... at 7:00 am for training/fun runs or Marathon Training! We have established courses from 4 to 22 miles, with mile markers from 1 to 20 miles. Water and Gatorade every 2 to 3 miles distributed by club volunteers. Every Saturday morning at 7:00 am we start running in groups, grouped by running pace, 7:30 minute milers to 12:00 minute milers. The groups start off a few minutes apart to avoid large crowds on the streets. If you run a 12 minute mile pace or a 7:30 minute mile pace, we have a group for you. In the summer months there are pace group leaders for those training for the Bank of America Chicago Marathon or other Fall Marathons. We have supported training runs on Saturdays at 7:00 AM from the Lake Zurich High School, 300 Church St., Lake Zurich and on Sundays at 7:00 AM from Busse Woods in Schaumburg just ¼ mile east of the 53 underpass on Golf Road into Busse Woods on the south parking lot. We also have several walkers out there on Saturdays. Come for the training and the Gatorade, and you'll stay for the camaraderie! And club members running and volunteering at the Bank of American Chicago Marathon get exclusive free access to the Club hospitality suite at the Chicago Palmer House. It is a terrific alternative to gear check, runner reunite and just staying warm before the race! Annual single membership dues are only $25 and an annual family membership is $35. Signing up after September 1? Your membership will be valid for the remainder of this year and all of next year! Three year membership discounts are available for both single and family memberships. If you are signing up for the first time, click the "Member Signup" link on the left to enroll (it's fast and easy) or you may contact club President Beth Onines for more information. If you are renewing your membership, first log in to the website. If you are a Primary Member and are up for renewal, you then will see a "Renew Now" link at the top of the page. Click on it to go to the renewal page where you may renew your membership with a few mouseclicks. NOTE: Memberships can only be renewed by the Primary member. Family members will not see the "renew" prompt.